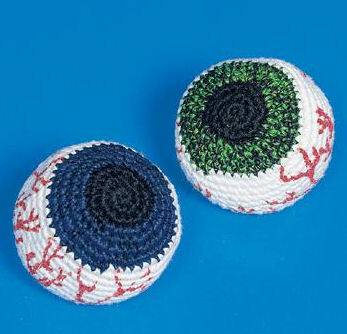 Knitted Kick Balls with light up eye ball design. Each 2 inch ball is filled with small plastic pellets. 12 hacky sack/foot bags.